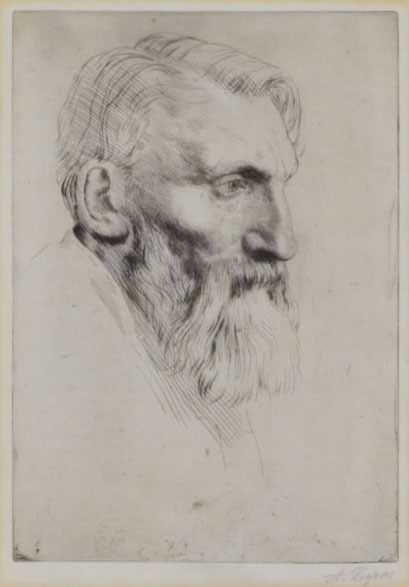 This original drypoint etching by Alphonse Legros was created in 1881 and is pencil signed. A delicately etched image of the world-renowned sculptor and artist, Auguste Rodin. Cat: Bliss 237, 9 3/4 x 6 7/8 inches. Artist provenance on backing with label from "Halcyon Days LTD, framed.